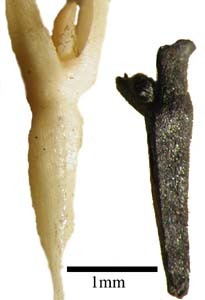 Top left, left Taeniatherum sp. Jerf el Ahmar 483, right modern Taeniatherum caput-medusae. 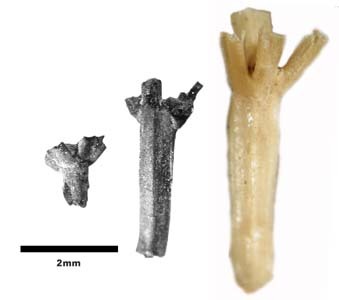 Top right, left modern Taeniatherum caput-medusae, right Taeniatherum sp. Dja'de 35. Bottom Taeniatherum sp. 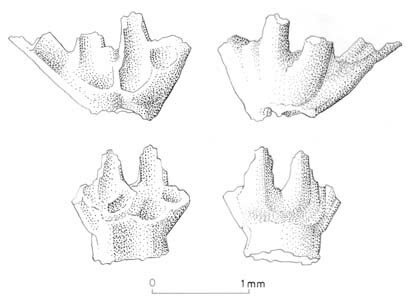 spikelet bases from Dja'de.